LOS ANGELES, CA / ACCESSWIRE / October 28, 2016 / With the expanding integration of video promotion set to nearly double by 2019, marketing innovator Gary Mittman has been developing new strategies for the ever-growing field of digital advertising. Recent estimates suggest that digital video ad dollars reached an all-time high of $7.77 billion this year in the U.S. alone, and that rising number represents 13.3 percent of the total budget spent on digital promotions. Pre-roll video remains the most popular method of delivery due to its high engagement metrics and CPMs, but the ongoing use of 15- or 30-second clips have presented publishers with a problem: advertising demand is trending higher while high-quality supply diminishes. To correct the discrepancy, Gary Mittman suggests some progressive-minded opportunities to target users through relevant and effective outstream, mobile and native options. In the case of pre-roll, a traditional video ad is delivered through a player; but in the outstream format, clips are embedded natively and appear within the body of the text on a page. The system has been praised for its high viewability and its ability to integrate with minimal issue - users can still click around without interference, yet the outstream will only launch when it comes into view. Gary Mittman notes that its other benefits include its flexibility, by additional exposure for advertisers on sites delivering premium information and services and revenue for publishers without having ad units tied to the content itself. With an upside that boasts lower costs that can average 10-25 percent cheaper than premium pre-roll, outstream is a truly viable choice. Another possibility exists in mobile technology. For the first time, mobile ad spending is finally surpassing the amount allotted for marketing made specifically for desktop viewing, and that may be because of how mobile video is seen: it's full-screen, demanding users watch the clip or close it completely since there is no method for checking another tab, as someone might do while a pre-roll ad plays. Though more than half of digital traffic is generated from mobile, the use of native video is also growing steadily due to its effectiveness for attracting user interaction. Seamlessly blending with its page surroundings, native helps support editorial directives and, because of its customizing potential, is ready-made to further refine and promote brand identity. Gary Mittman believes that since it is easily incorporated with preexisting content, that if properly designed, it may offer even higher CPMs than most pre-roll. 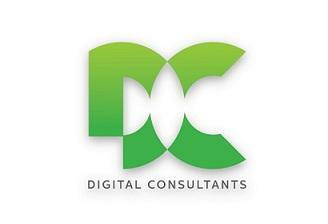 Managing Director of Digital Consultants, Gary Mittman is an acclaimed veteran of the digital marketing landscape. Having served as President and Co-Founder of Nami Media Inc., he is a long-standing authority on direct advertising. Previously, he developed ad tracking systems and full turnkey, bulletproof revenue tracking applications as CEO of Jim Corp. His expertise has made him a reliable source of knowledge in the ever-changing realm of digital marketing, and Mittman plans to attend the 20th anniversary of ad:tech in New York, November 2nd and 3rd; his deep marketing experience will be an asset at the topic-driven, immersive meeting of marketing, technology and media communities.